Unfortunately, addiction affects people of all ages, backgrounds, and genders. However, teens face specifically unique risks. As a teen in the throes of adolescence, struggling with addiction is challenging. This is why the right help makes all the difference. Explore some of the main benefits of teen drug rehab to choose the right help for your loved one. In teen drug rehab, patients can expect various treatment methods. Overall, one of the most common and effective methods is group therapy. Teens benefit from group therapy because it’s a chance to share experiences and learn with peers. Most of our youth is naturally skeptical. Teens might not trust that adults, even counselors and therapists, are being honest. Even while experiencing addiction consequences, they might still believe they’re invincible. In group therapy, it becomes apparent that no one, not even teens, is immune to the dangers of addiction. Patients share their rock bottom stories which include suffering from health problems and struggling financially. Overall, teens are more likely to identify with and believe these first-person accounts. Above all, group therapy is ideal for teens because they receive advice from people who aren’t in positions of authority. When peers in the same age group discuss recovery, patients are more receptive. Teens struggling with addiction certainly have specific challenges. However, parents and family members struggle as well. Many parents want to help their children overcome addiction, but the responsibility can be confusing. Teen drug rehab creates a supportive environment for patients and parents alike. Parental involvement is highly emphasized in teen drug rehab. Family therapy, for example, provides the opportunity to learn more about addiction and develop a plan for recovery. However, parents aren’t responsible for the 24/7 care of their child. Instead, medical professionals take control. 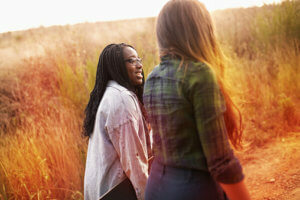 A team of physicians, nurses, and therapists can do a better job helping a teen reach recovery. Often, parents are relieved knowing that their teen children are in good hands. There’s no denying the connection between mental health and addiction. About half of teens and adults struggling with addiction have a mental illness. Unfortunately, if the mental illness goes undiagnosed and untreated, it makes recovery especially difficult. Teens in rehab are able to get treatment for their mental illness right away. The sooner they can get support, the better their lives will be. Additionally, relapse is less likely if mental illnesses are properly treated. Whether patients are battling heroin addiction or cocaine dependence, peer support makes a big difference. In both inpatient and outpatient rehab programs, there will be plenty of opportunities for teens to interact with peers. For example, sharing meals or just relaxing in common areas is a chance to share experiences and build strong connections. Teen drug rehab caters to the specific needs of teenagers struggling with addiction. 1st Step Behavioral Health in Pompano Beach, Florida, helps teens permanently overcome drug abuse. If you’re ready to begin the road to recovery, call 866-319-6126.